During the 2012 Summer, the outdoor Birch Bay Market has been open on Fridays, Saturdays, and Sundays with people selling rustic bird houses, golf balls, pickles, jewelry and other crafts, and all kinds of used goods from temporary booths. The market is located between the C Shop and Terrell Creek. It is a few steps from where I live. One of the regulars at the weekly market has been Levi Montgomery, who sells self-published books at his booth. Curious, I decided to sample his offerings, which include six different novels. I was not sure which book to read, so I asked him if any were set in the local area (Whatcom County, WA). He pointed to a book with the title Light Always Changes, and I carted it off, putting it in a long queue of things I intend to read. Light Always Changes. All she wants is to hide her scarred face forever. All he wants is to take the perfect portrait. Sometimes the deepest secrets are hidden behind the thinnest veils. Stubbs and Bernadette. She's finally found a friend that she can't drive away. And he's a boy. He's finally found the perfect girl. And she's wrong in every way. You cannot be yourself, until you know who you are. Jillian's Gold. Jillian has lost her mother, her home, her favorite aunt and every friend she's ever known. Now she has Royal. But is he the counterweight that will help her regain her balance, or is he the anchor that will drag her under forever. Is he the most perfect boy every made, or is he a serial killer with a grudge? Cursing the Cougar. Morgan has been too busy with her music and her truck to have time for boys. Now it may be too late. Now someone might have to die. Fear is a powerful enemy. But it is a powerful ally, too. Other Loves -- Four Novellas. Sometimes life just isn't like a storybook. In fact, life is almost never like a storybook. A Place to Die. What do you do when life takes everything that ever mattered to you? When you lose every single thing in one terrible day? You begin to look for a place to die. The first four of these novels -- including the one I read -- tell the stories of young women (late teenagers?) in a difficult situation who form a relationship with a young man. Light Always Changes is just over 200 pages long. Picking up the self-published book, the first thing I noticed was that its quality of production is comparable to books produced by commercial presses. Reading the book, it is clear that it was ably edited. The book has a slick, well crafted cover. The significance of the picture featured on the cover is apparent only after getting to the end of the book. As might be evident from the short blurb for the book (see above), the novel appeals most immediately to late teens who can readily identify with the travails and triumphs of its teenage protagonists. Nevertheless, because the book is well written, with an engaging plot and a touch of mystery that is not solved until the final pages, I enjoyed the story even though my teen years are a fading memory. The novel is set in fictional Port Hale, described as a small place located on the Pacific Ocean between Bellingham and Blaine, Washington. 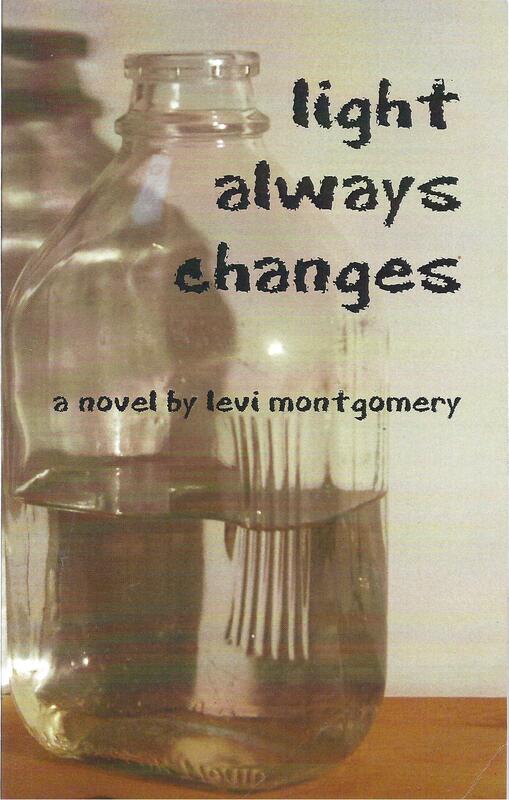 The plot has two main characters, Lydia and Tanner who attend high school in Port Hale. Lydia and her father (an irresponsible pot-head) moved there from Los Angeles, and she is new to the school. Unknown to anyone other than Lydia and her father, they are fugitives from justice: several years earlier, he had abducted Lydia after a court had given his ex-wife custody of her. Lydia is scarred, both literally and figuratively. One side of her face and one hand have been badly disfigured by acid. The disfigurement is accompanied by internal turmoil and by a hard persona that enables her to ignore the sideways looks she gets and the rejection she fears. She fends off those who would befriend her with a sharp tongue and standoffish behavior. Tanner is a passionate photographer with an eye that immediately sees past Lydia's disfigurement. He is smitten. She rejects. He persists. With complications, young love develops, but Lydia's secrets threaten the future of the relationship. All of this unfolds in a deftly written story that includes a surprise at the end. The story moves quickly, and the relationship between Lydia and Tanner develops in a plausible and charming way. The book ends with revelations answering the question of who had caused Lydia's acid scars and why. When the aliens landed seventy-two years ago, the first thing they did was turn off the power. Then they ran for the hills. The aliens themselves killed very few people, but riots, looting, disease, natural disasters and the sheer brutality of a harsh life that no one had lived for generations have reduced the population of Earth to a few tiny handfuls, scattered among the abandoned ruins of a lost civilization. Now word has come to Amarylla’s father, the chief civil engineer of the Federal Republic of New York, that an unknown man in the far northern plains may hold the key to turning the lights back on. But when Amarylla sets out with her father to find this mysterious man, she is a just young girl whose life has been filled with operas and riding lessons and needlework, a young girl schooled only in the history of fashion, classical philosophers, and the proper navigation of knives and forks at a state dinner. A young girl totally unprepared for the raw edges of life beyond the walls, totally unprepared for the closeness of a young guard named Marlowe, totally unprepared for danger. Can she become what she needs to be? Can she learn what she needs to know? Can she grow up in time, or will this alien dystopia kill her? Sounds like this book could attract and hold my attention. 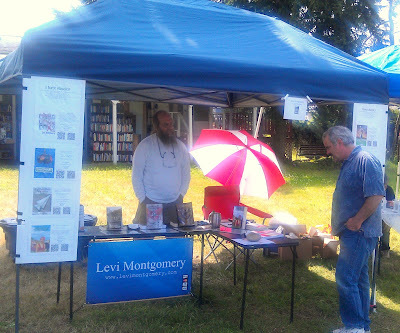 For more about Levi Montgomery and his work, you can visit his blog: http://www.levimontgomery.com .